The most dreaded point during a marathon race is when runners “hit the wall” as their muscles become depleted of energy and fatigue engulfs them. But, don’t tell that to the thousands of them who came out on April 30, 2016 to be entertained by a post-race concert by The Wallflowers at the Bridgestone Arena in Nashville, Tennessee. Rock darlings The Wallflowers went the extra mile for Music City marathoners. This as-of-late rare sighting of the band fronted by rock progeny Jakob Dylan was the main attraction at the Toyota Rock ‘N’ Roll Concert and the show served to wrap up a busy three days of health and fitness in Music City that included the running of the St. Jude Rock ‘n’ Roll Nashville Marathon & 1/2 Marathon. Prior to the performance by the reconvened rockers was an awards ceremony overseen by Richard C. Shadyac Jr., President & Chief Executive Officer, ALSAC (St. Jude Children’s Research Hospital) and Tracy Sundlun, Vice President and Co-Founder for the Competitor Group. Plaques and flowers were then awarded to the top three finishers in all three races. The loudest applause during the presentation was reserved for local hero Scott “Wintecha” Wietecha of Hendersonville who earlier in the day had just won his unprecedented fourth straight marathon in Nashville. Jakob Dylan was personable and in good spirits in Nashville. The Wallflowers emerged with fanfare and quickly engaged with “Three Marlenas” which was thematically appropriate in light of the three major races that were run earlier in the day. The “New” Wallflowers comprised of Jakob and rounded out with four local musicians from the Nashville area pleased with their rootsy vibe. Stanton Edward on guitar impressed as did Jimmi Wallace on keys who was taking over for the popular Rami Jaffee and was right up front in the mix with a solid B3, piano and organ. “You guys all run, who’s tired, who ran?,” said Dylan following a strong “Everything I Need” from Red Letter Days. “You all ran? I run when being chased,” he continued leading into “Sleepwalker” and honestly some of the dozens of fans in attendance wearing marathon finishing jackets looked like they could relate to the title of this one having completed a grueling 26.2 miles earlier in the day on the hilly and challenging Music City test of endurance. Next up was a nod to Tennessee legends Alex Chilton and The Box Tops with a cover of their hit “The Letter”. 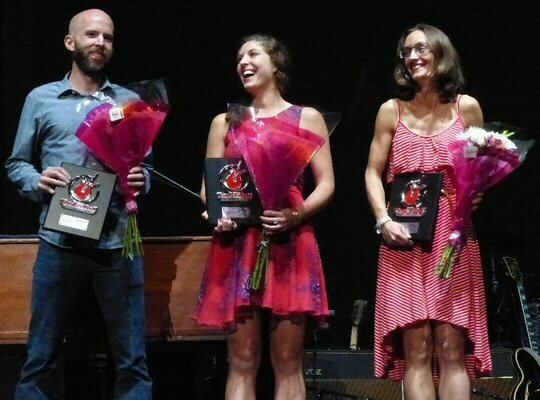 The Wallflowers had some hits of their own while runners often compete for their PR/PB or “personal record” / “personal best”. Jakob’s PB was on display as the group offered up the at one time ubiquitous “6th Avenue Heartache” which still sounded great at the Bridgestone on 6th Avenue in Nashville. Scott “Wintecha” Wietecha and the top-two finishers on the ladie’s side. “Boy, you guys are getting busy though, it’s getting crowded here in Nashville,” commented Dylan introducing a song from his most recent album that was recorded in Music City. His words rang true especially on this weekend as an estimated 44,000 runners and their guests descended on the Downtown for the 17th annual running of the foot races. The Wallflowers continued through their well-tempoed hour and twenty minute set with the much loved “I’ve Been Delivered”, “One Headlight” and “God Don’t Make Lonely Girls” before crossing the finish line with a cover of “Another Saturday Night” that sent this particularly unique and physically spent audience back onto Broadway. You had to wonder just how many would continue the party honky-tonking when a warm bed in Nashville’s ever growing hotel district was calling their name. 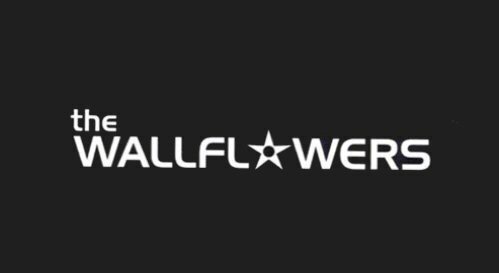 The Wallflowers – circa 2016 – played a fine show at the Bridgestone Arena. 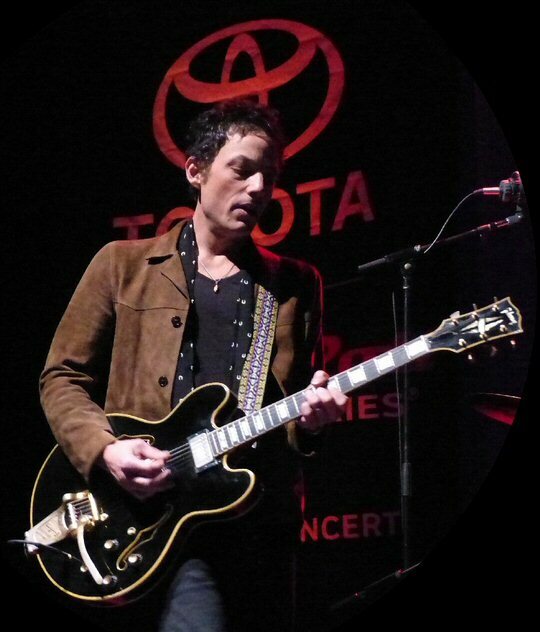 The Wallflowers were a great choice to headline the Toyota Rock ‘N’ Roll Concert and we can only hope that this concert will be the impetus to kick-start a new chapter for the band. We only wished they had played their famous cover of David Bowie’s “Heroes” for the fallen rocker and for the thousand of runners called “heroes” for their efforts in raising funds and awareness for the St. Jude Children’s Research Hospital. Opening was Marc Scibilia whose torrid and tight slot provided a more than suitable warm-up for the main event and set the pace for a winning night of music. 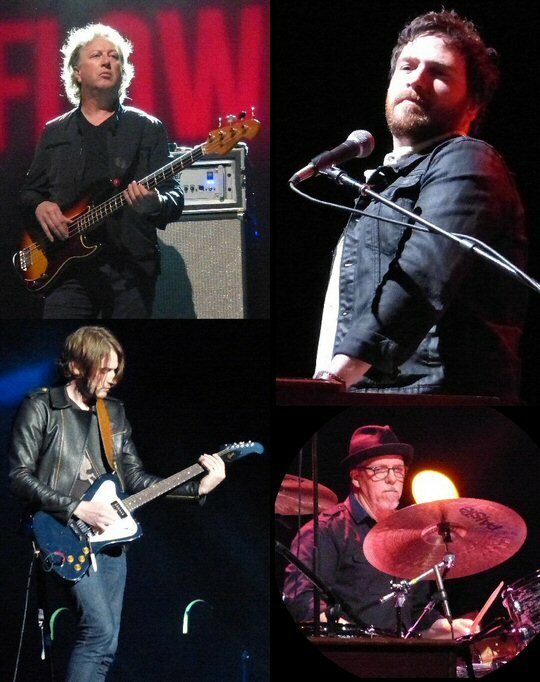 The Nashvillian via Buffalo, New York was an instantly likable hybrid of John Mayer and Bruce Springsteen with ample amounts of funk and R&B thrown into the mix and delivered in power trio format. He even concluded his set with a nod to The Boss with a rendition of his biggest song, “Dancing In the Dark” but we think the light will be shining even brighter on this exciting young artist soon enough. 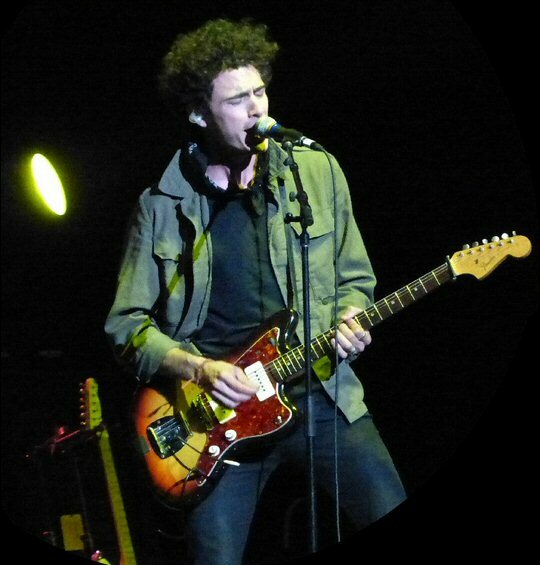 Opener Marc Scibilia set the pace for a great night of music in Nashville.